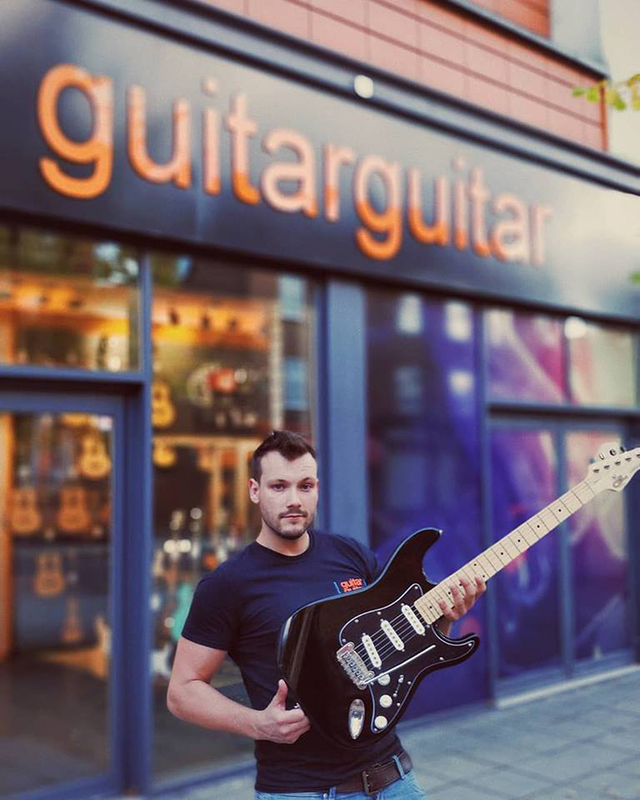 G&L have proven massively popular since we introduced the range to our stores a few months back. Leo Fender’s refined takes on his own world-famous designs have been hitting the mark with players of all descriptions out there who love tradition but appreciate that there can be room also for modernity and improvement. Since we brought G&L on board, we’ve sold both the USA made Fullerton Standard/Deluxe guitars and the imported Tribute series. We’ve blogged about the American guitars already and feel like it’s now high time we shouted the praises for the fantastic Tribute line too! And fantastic they are! The range is wide and full of interesting, stylish guitars, based on the same designs as the US guitars. Today we’ve picked four different models to look at but there are loads more so if these take your fancy, be sure to browse the whole selection on our site! We’ll kick things off with a look at what is by far the most overwhelmingly popular G&L guitar we’ve had: the Tribute Legacy in Black! This is a solid, dependable S-type with a great neck (12” radius too for lead players! Yes! ), alnico pickups and a tremolo design that is smooth and satisfying. We can’t believe the price point that this is coming in at! It’s a gig-quality axe available at just-above-beginner prices. Deal of the year? Definitely a contender. This Fallout has more than a hint of Indie Rock about it! It’s a cool original design with an offset body, a range of well-chosen colours and a brilliant Humbucker-and-P90 pickup combination. The same great C-shape neck and 12” radius fingerboard brings plenty of playing freedom. The body is Mahogany which is an excellent choice: you don’t normally see Mahogany on bolt-on offset guitars and it should happen more often because there is a really appealing, gutsy tone happening here! There’s a push-pull coil tap too, for removing some muscle from the sound and adding extra twang. 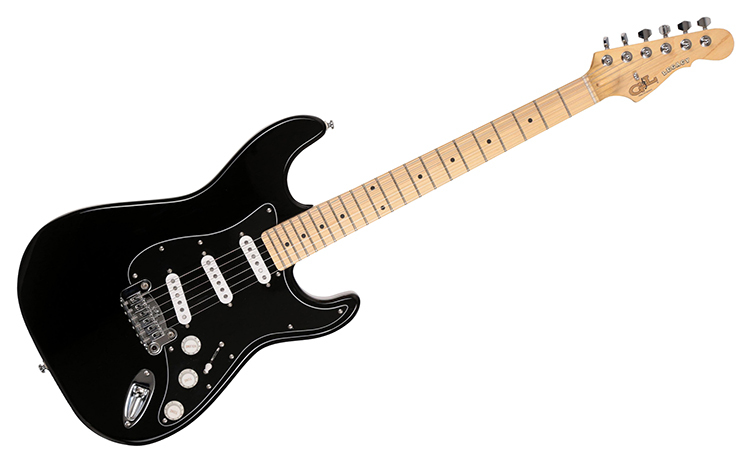 The G&L Fallout has plenty of ‘mojo’: it’s one of those guitars you want to keep grabbing and playing. Surely there can be no better indication of a good guitar? It’s also a fresh antidote to all of the usual guitar shapes we see everywhere. Give this a go, it’s great. We are back on more familiar ground here with the ASAT Classic. The inspiration is clear to see (fair enough since it’s based on Leo’s original-original design, after all!) but this guitar brings some interesting features of its own. For instance, the pickups are MFD (Magnetic Field Design) units designed by Uncle Leo himself. These pickups have individually adjustable polepieces and a ceramic bar magnet under each coil to present a finely balanced level between strings, double the output (still vintage sounding though) and a very low noise/hum floor. The sound gains a little more top and bottom too, resulting in a flexible and versatile set of pickups. 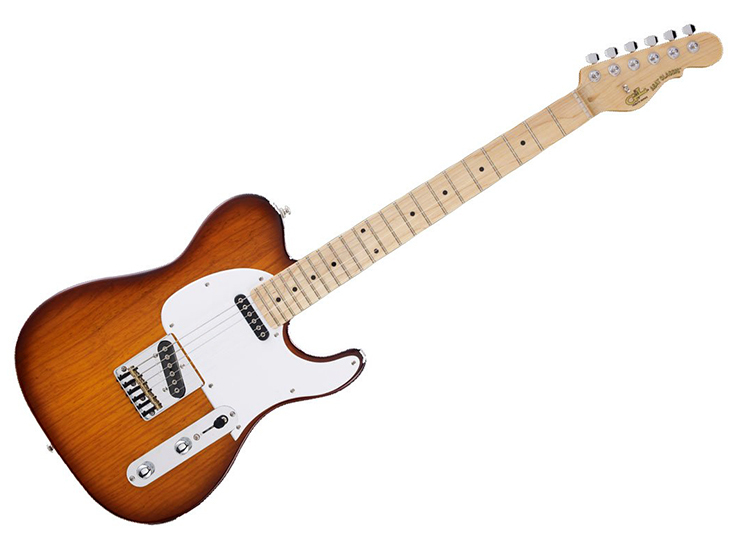 This lovely G&L ASAT has a quality Swamp Ash body for light weight and excellent resonance. The neck of this one has the same great profile but a rounder fretboard radius of 9” for a more vintage feel. This guitar excels at Blues, Country, Funk and Indie styles and has some beautiful finishes including this Tobacco Sunburst. Tasty! Finally, we have to give a little time to this beautiful beast! It’s the G&L Tribute Doheny and it is dripping with counter-culture cool. This is one seriously well-thought-out update on a certain surf-tastic offset from the sixties. Again, Leo Fender designed the original inspiration for this, so it seems churlish to comment on the Doheny being quite a familiar sight. Look a little further though and you’ll begin to see all of the little areas where improvements live. 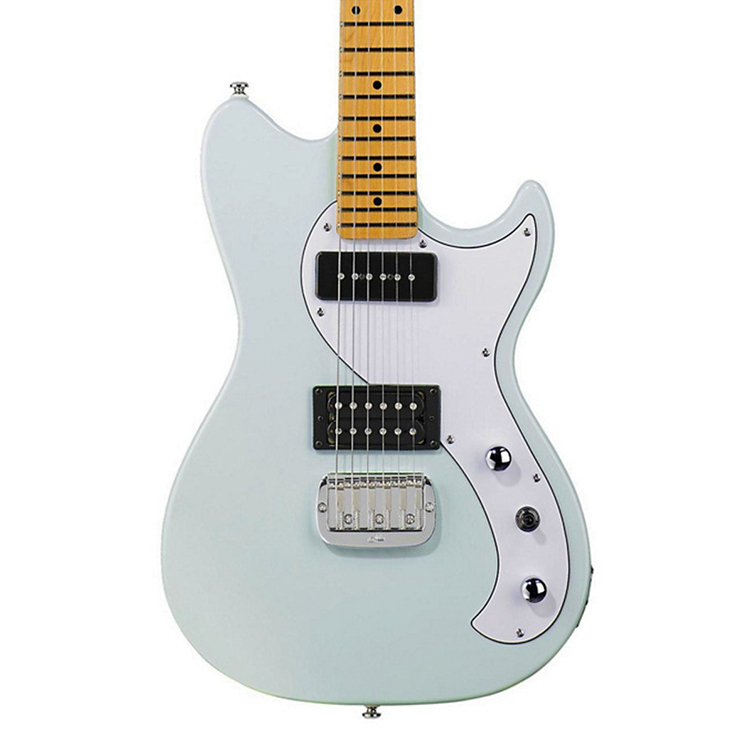 Most obviously, the tremolo has been updated to the much more useful G&L Dual Fulcrum design as found on the Legacy. This allows you to perform some proper whammy bar techniques without sacrificing that all-important retro vibe. On that note, the Doheny has awesome block inlays, furthering the surf-style. These are black on the Maple necked guitars (like the Olympic White model we’ve chosen today) and Pearloid on the models with a Brazilian Cherry fingerboard. The MFD technology employed on those ASAT pickups can also be found at home here on the Doheny too. Specially designed for the ultimate in ‘jangle’, these beautifully voiced pickups give out tones that sound well in excess of the guitar’s cost. Another innovation on display is the PTB (Passive Treble Bass) tone controls. Put simply, the two tone controls are essentially a High Pass Filter (dials out the bottom end) and a Low Pass Filter (dials out the treble). Used together, you can achieve a wide range of tones that include some great ‘fixed wah’ sounds when both controls are turned down (leaving you with nothing much other than Mids, just like a half-cocked wah pedal). It’s a great, ingenious circuit that makes proper use of the tone knobs for once. This circuit is actually built into that ‘Dark Side of the Wall’ Black Legacy guitar too. Take a bow, G&L! 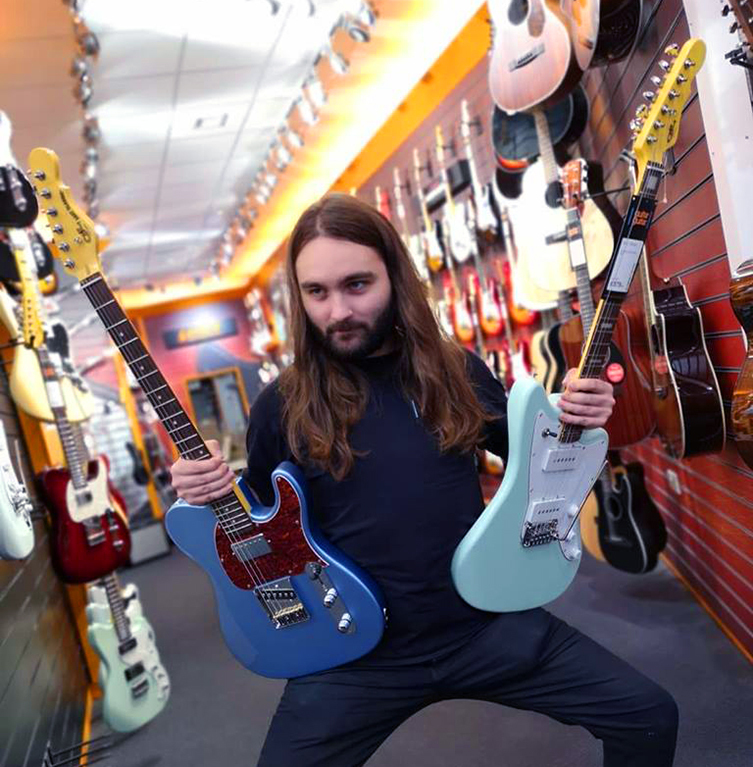 These G&L Tribute models are hugely impressive. Each one of these Indonesian-made guitars has been brilliantly made with that solid feel of quality. The pickups all keep plenty of detail and are full of the kinds of tone we wanted to hear form each type of guitar. Touch response is great and the controls are responsive, encouraging lots of play! We love the designs, the colours and the overall aesthetic. We feel like G&L have successfully tackled those traditional Leo Fender designs and given us some true alternatives that aren’t madly different for the mere sake of it. These feel like quality, dependable gigging instruments that you can take out on tour and play for years. We think you’ll love these and are very excited to bring them to you. We invite you to try one out at your first available opportunity!